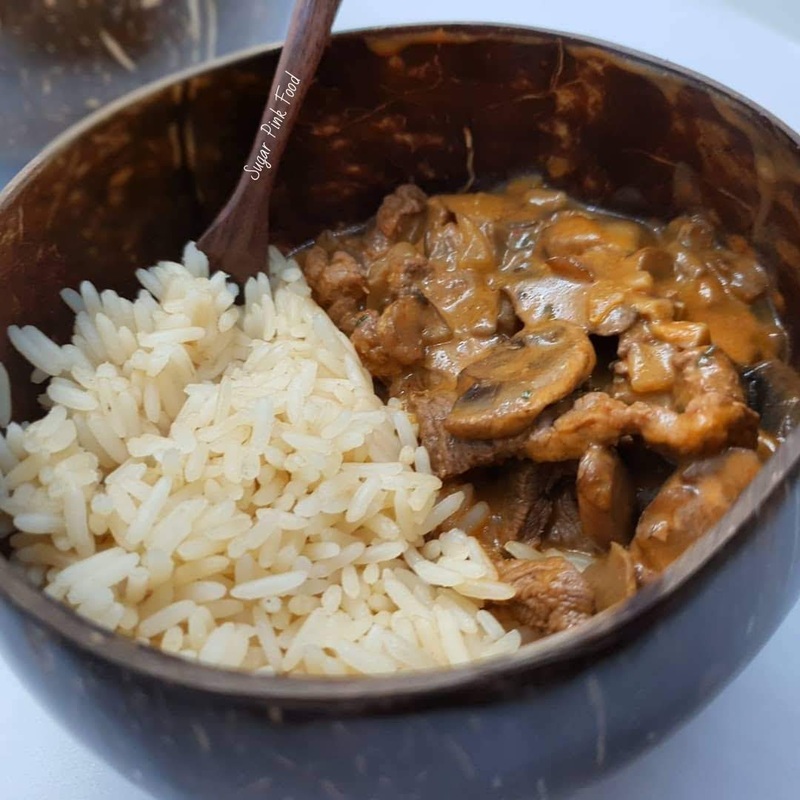 This is my twist on a tasty classic beef stroganoff with steak and mushrooms. This is so simple to make and tasty to eat, and amazingly, is also slimming and diet friendly. 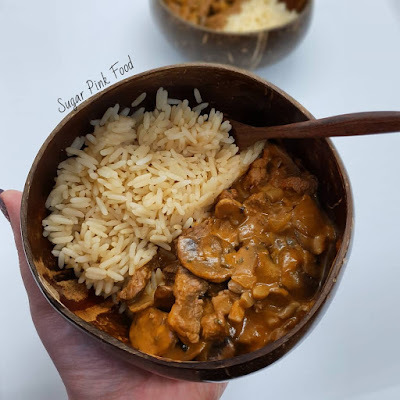 I have been paying special attention to creating tasty dishes that are suitable to make on a busy weeknight evening, and are easy to throw everything together for. This dish takes a maximum of 30 minutes to prepare and cook. The key to making low calorie meals is to swap usually fatty meats for lower fat content, or even removing the fat from the meat. 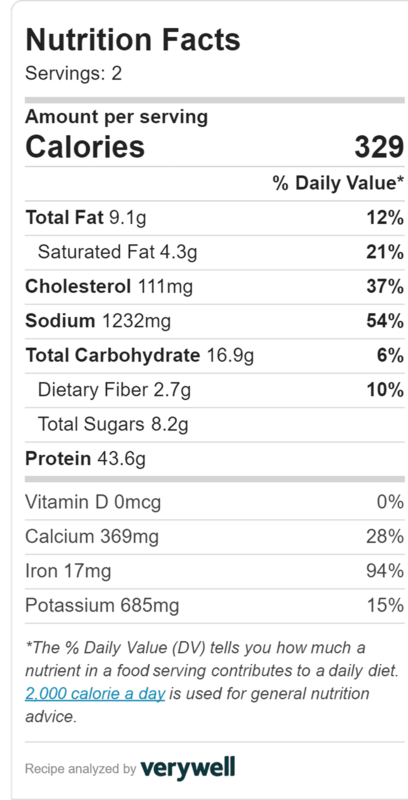 If you buy beef chunks for this recipes and they come with fat, just remove it with a scissors before cooking. 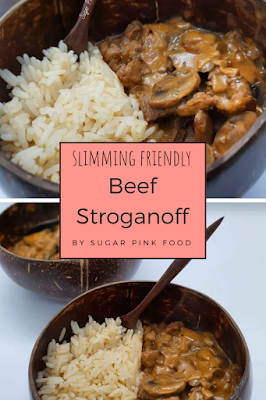 Traditionally a beef stroganoff is made with cream, but I have swapped this for low calorie cream cheese. It gives the dish a much richer and creamier taste. You can serve this with pasta, but I really like to have it with rice. 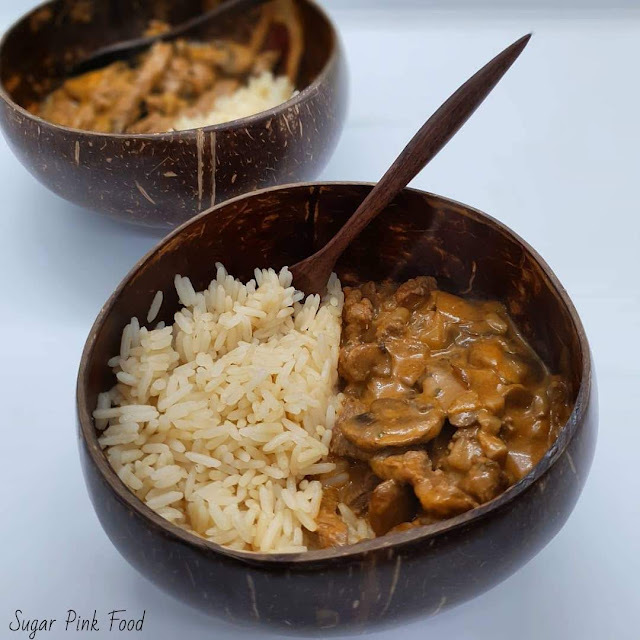 I served this in some new coconut bowls that I got, and think they look amazing! Remove the meat from the pan, and add the White Wine Vinegar and Worcestershire sauce. Add the beef back into the pan and stir well. I like to serve mine with rice. All syn calculations are my own, and are for guidance only. 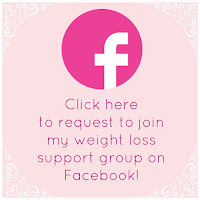 I am not affiliated with Slimming World in any way, or any other diet club. These are meals and recipes that I have followed myself.